Sanya’s inbound tourism market continues to recover in 2011 after suffering from the global financial crisis since 2008. 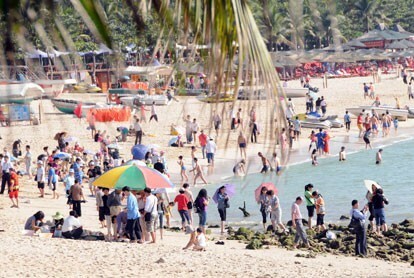 The number of inbound tourists exceeded 500,000 in 2011, reports Hainan Daily. Sanya received more than 500,000 inbound tourists in 2011, recovering to the same level in 2007. In August 2010, the Ministry of Public Security extended the Hainan visa-free policy to 26 countries to facilitate the international travel business in Hainan. Meanwhile, tourists from Russia, the ROK and Germany may enjoy the visa-free policy as long as they travel in groups of two or more and plan to stay in China for a maximum of 21 days ahead of their scheduled departure date.